The Days of Johann, an agility dog! : Testing out the new Thundershirt! Testing out the new Thundershirt! A few weeks ago the nice folks at Thundershirt sent us one of their shirts to test. At first we weren't sure we were good test subjects since neither Gracie or I have any thunder or lightening phobias. 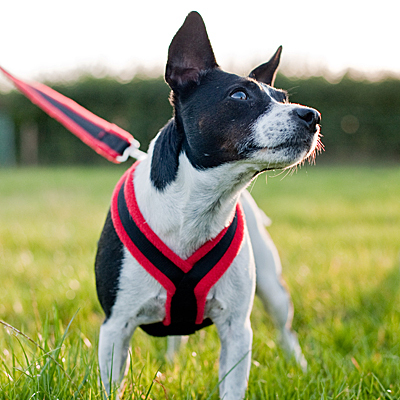 But after reading their materials, we discovered that the Thundershirt can not only help pups with terrifying bouts of phobia during thunderstorms, it has been proven to work with whatever situation that makes your dog anxious, fearful, reactive or over-excited. Instantly, Mum and I thought about Gracie. You may remember that we talked about how Mum and Gracie are taking trips to new and different places almost every weekend. To the pet store, to shopping centers, to wide open fields and more, to help her overcome some of her anxiety in new and overwhelming sites. She was working through some of them, but still would get spooked at what I thought were the weirdest things. Like when we went on that hike in the woods down by the river a week or so ago. A branch snapped and she jumped about a foot in the air with all fours. So we told the Thundershirt folks to send on one of their shirts to fit Gracie and thought we'd give it a try and see if it made any difference in her anxiety levels in these strange places. The first test, Mum put the Thundershirt on Gracie for one of our two mile walks around the neighborhood. Every time we get to a certain cross road on the walk, there is a big field to the left where we stop and sit before crossing the street. Gracie gets all buggy eyed looking over at that open field. So much so that she takes a while for Mum to get her attention, and to sit at the cross street, even with treats right at her nose. 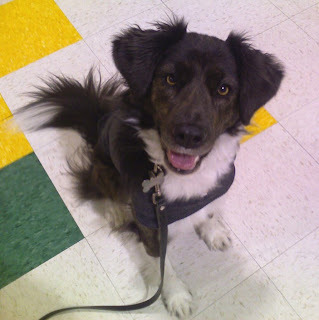 The day she wore the Thundershirt, Gracie walked right up to the crosswalk and sat, waiting for her treat. Yes, she glanced at the open field, but then looked right back at Mum, then did her nice 'side' sit before crossing the street. Ok, so that was a fluke right? We ventured on the walk. Usually Gracie will manically try to get into nearly every tall grass planting where people have covered up their utility boxes in front of their house. Makes for a challenge to keep Gracie's focused on a two mile walk, when she's trying to get into those areas at nearly every house we pass. This time with the Thundershirt, she only tried to get into the ones that had a lot of grasses planted, and completely by-passed most of those areas, even without Mum saying a word. So the next test was for Gracie to wear the Thundershirt on her trip to the pet store. Usually Gracie will be all buggy eyed, excited, get spooked by the slightest unusual noise. This time during her test with the shirt, she was completely alert, but didn't jump around when she heard a big noise. During our last trip when she was greeted by a not so friendly dog at the store from a bit of a distance, she didn't start massively drooling like she usually does with an aggressive dog. And Mum was able to distract her from the tense situation and immediately get her focused and sitting for a treat away from the situation. Mum even had her doing bangs near the front electronic door, which usually made her jump a few inches off the ground when it opened unexpectedly. After Mum and Gracie would leave the stores on their weekend trips, they would take a nice little walk down the shopping strip center walkway. This is where Gracie would usually go over the top, looking over her shoulder, going sideways away from a passing car, jumping all fours off the ground when we would pass more stores and their electronic doors would open. 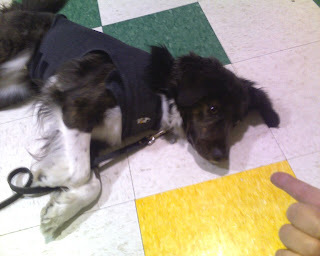 But this time with the Thundershirt, Gracie was alert, but happily interested in everything going on around her. She tried to get into the stores when their electronic doors would open. Mum had her focused and sitting immediately when she asked. We were just amazed. Mum believe she got about 80% more focus from Gracie during all the tests, and the best part is Gracie wasn't as stressed or anxiety-ridden. Sometimes 80% is all you need to help overcome some stressful situations, and get back on track, you know? 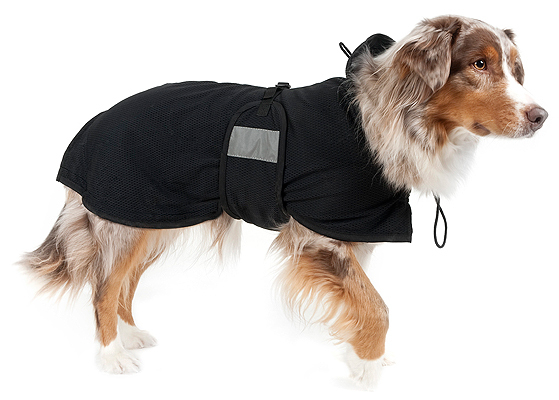 Here's what the company says about the Thundershirt and how it works. 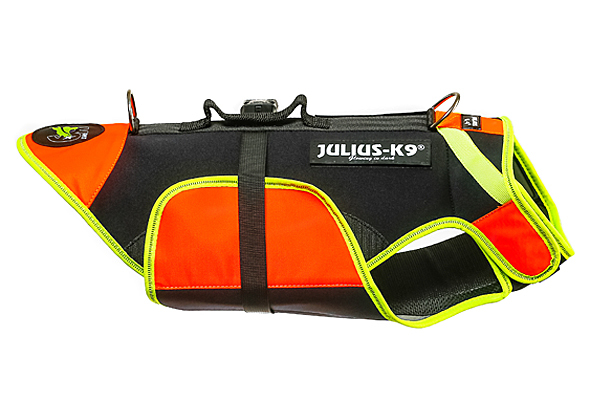 "Thundershirt's gentle, constant pressure can bring calm and focus back to your dog. 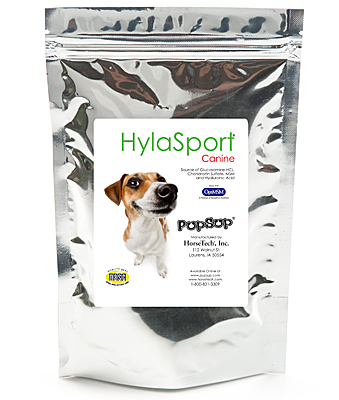 A terrific solution for many types of anxiety including thunder, fireworks, separation, travel, and crate anxieties. 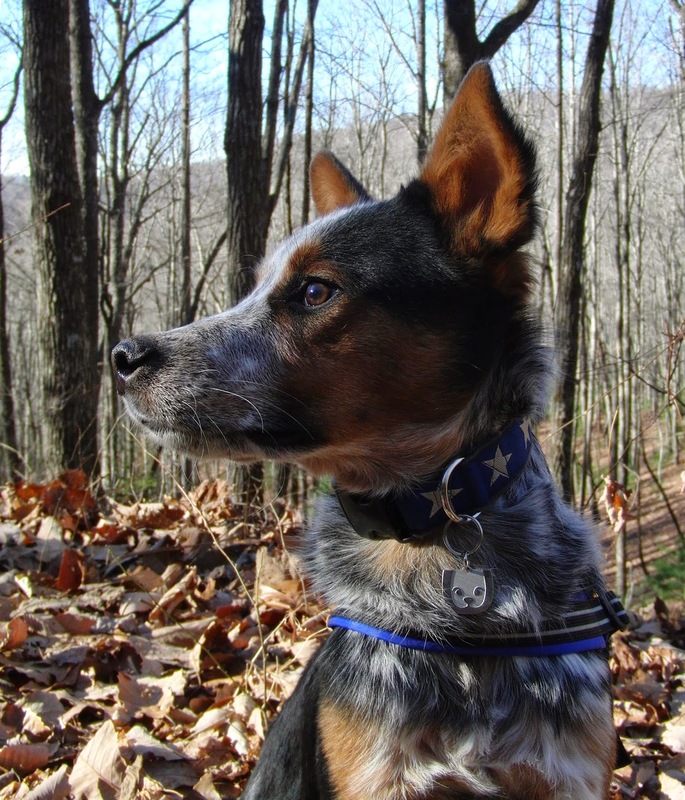 And a terrific solution for eliminating "bad leash manners" such as barking, pulling or reactivity towards other animals and people." We watched a few videos they have available of thunder/lightening phobic dogs (you can see them on our site page) that wore the shirts during thunderstorms, and we were amazed at the results they are getting. Our friend Joe Stains video is on the page...looked like he was helped a lot! The company says that the Thundershirt is 90% effective for noise anxiety and about 75% effective for other types of anxiety (like Gracie). 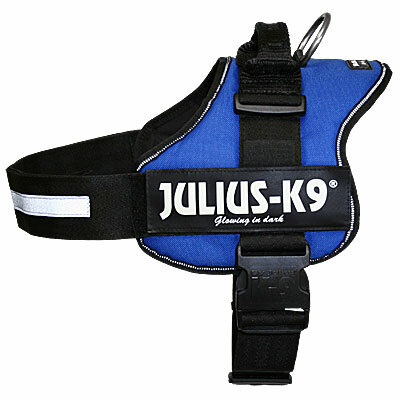 We liked the Thundershirt so much that we decided to add it to our offerings at JohannTheDog Direct! If you're interested, head on over and let us know what you think, if you have any questions, or comments! That is all very interesting! Imagine if thundershirts really do work then we'd have a lot of calm dogs out there! It's so cool that it helped Gracie out that much! Mom needs to look into this more thoroughly! The thundershirt sounds very worthwhile! I've been waiting to see how the Thundershirt worked out for you guys. This is awesome news! I am going to let some of my clients know and I may just order one for Daisy. Jasper is jumpy like Gracie too, but I think that's because I haven't had the time to spend on socializing him like you have with Gracie. We'll be focusing on that now! Thanks Johann and Gracie and Leslie! How about using it on a 3-1/2 month old pup? Mister Higgins is very noise sensitive. Also, he gets car sick in his crate. On one ride we wrapped him in a towel and held him and he didn't get sick. That led me to believe that it was the stress more than the motion that was making him sick. Do you think this would be a good idea at such a young age? It sounds like a great product! It is cool Ricky!!! 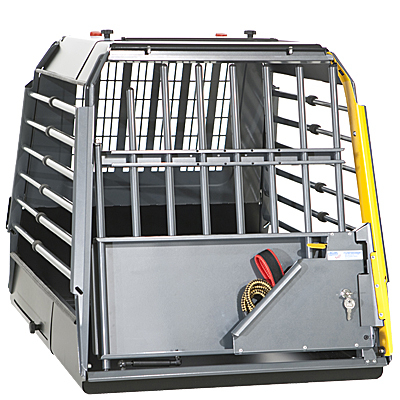 We can't wait to try it out at an agility trial...maybe we'll get her through an entire course. BOL!!! Hey Maggie/Mitch - the company says they work on lots of dogs. We added Joe Stains vid on the site, cause it looked like it really helped him! 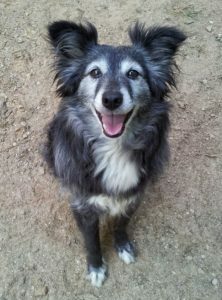 Thanks Mel - sure would be cool if it could help some pups out there like it did Gracie! Hey Emma Rose! I'm sure you are working with Mr. Higgins on his noise sensitivity...what we liked about the shirt is that it helped Gracie get over things and then when she was without the shirt, they didn't seem to bother her nearly as much. Kind of like a training tool that you use and then when the behavior gets going you don't need the tool anymore. So it may be worth a try. Have to tell you I got sick in the car at a very young age too...once Mum started putting me in the way back in my crate I stopped getting sick...so, makes me wonder if the getting sick thing was more of a young thing with me. But it could definitely be worth a try. 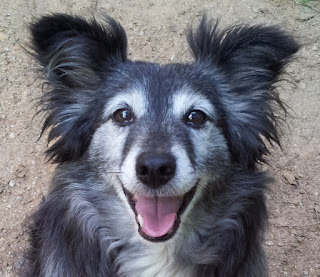 If you're like us with Gracie, 80% improvement is huge in helping her. that's really interesting! Thanks for posting! How amazing! We've never heard of this, but have a friend with a dog that might be able to use one! Oh poor Gracie! She sounds a lot like my Marge with the jumpiness and anxiety. I am glad you found a solution that seems to be working. With more behavior work and the addition of the Thundershirt, I bet you'll be seeing lots of progress. Hey Johann, maybe this shirt would help Ollie when he's out and about. He can get a bit shy and worried too.. unlike me of course (heh heh). Mom will have to look into this!